According to an Associated Press report, the Chicago Cubs’ Game Six victory in the NLCS this weekend was the most-watched LCS game since 2010. Specifically, an average of 9.7-million viewers watched the game, with that number peaking at 12.2-million as the Cubs ended the series on a double play. According to a Rogers press release earlier this month, the Blue Jays’ ALDS clincher over the Rangers averaged 4.73-million viewers just in Canada on Sportsnet, with audience levels peaking at 7.03-million. How accurate are these numbers? They’re extrapolated from small samples so they’re not necessarily perfect. I’ve never been able to get a straight answer as to whether the definition of “viewers” in precisely the same in each country. And not only is a viewer not necessarily worth the same in each market, the exchange rate complicates any sort of comparison we’d like to make here. 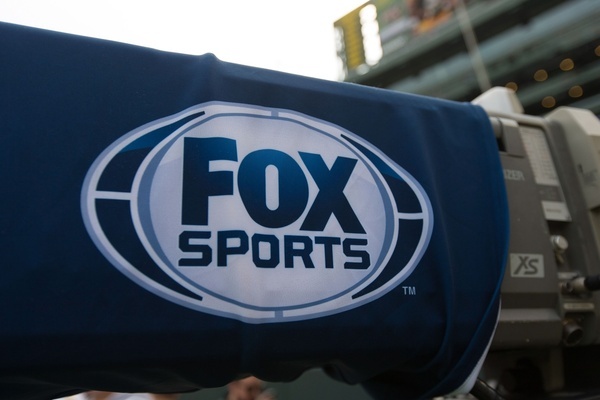 But here’s what we do know: according to an ESPN report when MLB signed its most recent US TV deals in 2012, FOX is paying about $500-million per season for the right to air the All-Star Game, one LCS, two division series, the World Series, and 52 regular season games. Something in the neighbourhood of $7-million per telecast. There is obviously a whole lot of premium content in that package. And the Blue Jays on their best day don’t compare to what FOX is pulling in on theirs. But they’re not that far behind, with a 2015 FOX press release citing 2.2-million viewers for their MLB on FOX game of the week telecasts, and 500K on FS1, while the Blue Jays averaged 1-million for Sportsnet in 2016, per a Forbes report. The Jays played 170 times in 2016, compared to about 75 games broadcast by FOX. That’s a huge increase in production cost, comparatively, but surely also makes up a lot of ground in terms of the total number of viewers over the course the season. Let’s just assume the Jays averaged 2-million viewers for each of their eight playoff games, plus 1-million in the regular season. That’s 178-million viewers over the course of the year. If FOX pulled in that total number over the course of their coverage, the per-game average would be about 2.4-million. The real number is surely higher, but how much higher? Let’s also guess that FOX’s playoff games (and the All-Star Game) averaged 8-million viewers over 28 telecasts. Add in 52 MLB on FOX games at 2-million viewers and you’re looking at 328-million viewers over the course of the year. By this very quick and very dirty math, then, FOX’s $500-million USD is getting them about twice as many viewers as the Blue Jays did this year for Sportsnet. I don’t think it’s at all safe to assume that the Jays TV rights alone have been worth $250-million to Sportsnet, or that they’re owed anything like that amount. We can’t forget that a massive part of the benefit of owning the team for Rogers is precisely that they don’t have to pay full market value for the right to Blue Jays TV content. And there are too many variables at play to simply work backwards from what FOX is getting for their money. You’d need a much deeper understanding of the industry than I have to say anything conclusive here. But the numbers are striking. Plus the Jays provide value for Rogers and Sportsnet in other ways: giving a huge lead-in that props up other Sportsnet programming, by raising the interest in other MLB games (such as the Boston-Cleveland playoff games that drew huge numbers this month), brand equity, etc. As we head into an offseason that will determine what the next several years of Blue Jays baseball look like, these are things worth thinking about, talking about, and — in all likelihood — bringing up again and again. It is important, insofar as anything to do with baseball fandom can be “important,” to hold ownership’s feet to the fire in whatever way we can on this, I think. This isn’t five or six years ago, when we were saying things like, “Well, Rogers makes this many billions of dollars, so why couldn’t they invest some of that to make their baseball team better?” This is revenue being generated by the Blue Jays, or by Sportsnet, because of the Blue Jays. And it’s money being made on top of big growth at the gate, and from their portion of those national US TV deals that went into effect in 2013. The club, according to a report from Gerry Fraley of the Dallas Morning News, considered bringing in Carlos Beltran this summer. MLBTR speculates that they might again do so this winter as a lower cost — and, more importantly, shorter term — replacement for one of their departing sluggers. That kind of a move could make sense. I don’t think anybody who looks at this stuff and understands what it ought to mean for payroll believes that the Jays ought to be going insane on the free agent market, demanding that it’s Edwin or bust and then some. It’s just, on the other hand… uh… why the hell not? Eloy Jimenez’s long-term deal with the White Sox sets a framework for Vlad Jr.